Nine out of ten. Briggs brings humanity to a terrible situation. This graphical novel is set in England during the Regan-Thatcher years of the early eighties. 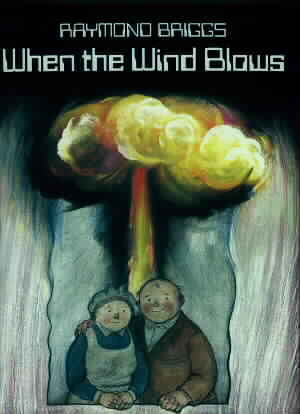 It covers the final days of Jim and Hilda Bloggs as they are caught up in a global nuclear war. In Britain at this time there was much public concern over the increased tension between NATO and the Warsaw pact nations and the deployment of short range nuclear weapons by both blocs raised these tensions. In this atmosphere, the British government published a set of leaflets setting out what precautions could be taken by the public to reduce the effects of a nuclear strike. In this book, we see an ordinary English couple attempt to follow the guidance in the leaflets and we follow their fate after a war. Alone, confused and dying from radiation sickness, they cling to their hopes that, by "doing the right thing" they will be OK and the authorities will come and take care of them. The author introduces just enough levity to give Jim and Hilda humanity and to make their tale bearable. While Jim and Hilda may not be the smartest folk around, they are the thoroughly decent folks that you would always be happy to have neighbours and that fact brings the horror of the story home. Although the threats that inspired this book have receded, it still carries a message that is important and deeply moving.